THE publicity campaign for Lisa Wilkinson's role on The Project has officially been launched. 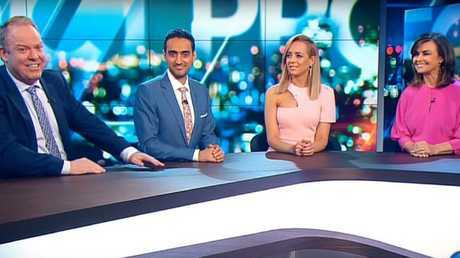 Network Ten has released two promos showing Wilkinson behind the desk with The Project co-hosts, Carrie Bickmore, Waleed Aly and Peter Helliar. In the longest promo, the three regular Project co-hosts are examining Wilkinson's resume before Waleed Aly asks her what she can bring to the show. "For example, I have a Gold Logie," Aly says. "And I have a Gold Logie," adds Bickmore. "And I've got a Golden Gaytime," jokes Helliar, before Wilkinson starts listing her many accomplishments. "Well, I'm a journalist, broadcaster, mother, former magazine editor, youth campaigner, women's advocate, oh, and I'm a member of the Order of Australia," she tells them. "Welcome aboard," Bickmore tells her. Lisa Wilkinson is coming to The Project. The Project returns to TV on January 9 but Wilkinson won't officially join the show until after Australia Day. The show airs six nights a week but Wilkinson will appear in just three of those shows. On Sunday nights the 58-year-old will co-host alongside Hamish McDonald and on Fridays will co-host with Waleed Aly. She'll also join Bickmore, Helliar and Aly for one other weeknight. Wilkinson's role on the Channel 10 show (and rumoured $2 million salary) comes after she spectacularly quit the Today show in October last year. The experienced journalist took to Twitter on a Monday night to announce her shock departure from the Channel Nine breakfast show, writing: "I have some news, I'm sad to say that today was my last day on the Today show." Less than an hour later, Network Ten sent out a press release announcing Wilkinson was joining The Project as well as "further collaborations". Wilkinson reportedly walked out on Nine because they refused to pay her the same $2 million salary that Karl Stefanovic receives. But Nine's chief executive officer, Hugh Marks, told The Daily Telegraph that Wilkinson actually wanted to be paid more than Stefanovic. "I went to an incredible amount of trouble to build that [$1.8 million] package for her," he said. "She wanted $2.3 million. It wasn't a $200,000 shortfall to [Karl's] $2 million magic number. It was $500,000," he told the Daily Telegraph. Mr Marks claimed that it was Nine who walked away from the negotiating table because Wilkinson had too many commercial contracts which limited the TV network's access to her. "The reason we walked away from Lisa is because we are not able to secure those rights (across all areas) with her," he said. "She has a number of commercial rights with other parties. Her arrangement with The Huffington Post restricts our ability to engage with her digitally ... We are ­restricted from engaging with her also on social media. 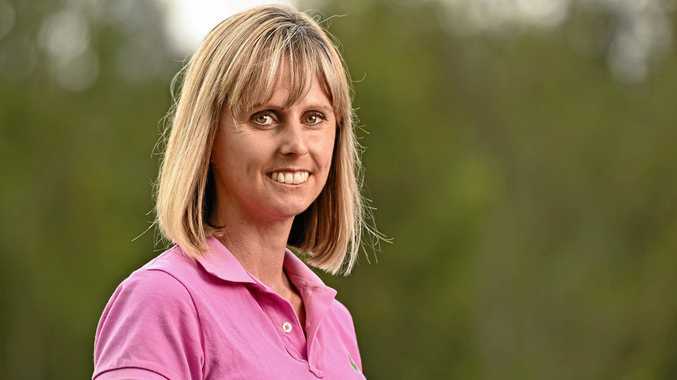 "I hate the fact we have to compare her with Karl but with him we have all those rights. With Lisa we do not." It was announced in November that Georgie Gardner will replace Wilkinson as Stefanovic's Today show co-host in 2018.